Artist Statement: I find the inspiration for my paintings in the natural world and take pleasure in the atmospheric conditions that allow nature to show us her infinite variety. Painting primarily in oil, I thinly layer the paint to enhance the depth of the image. With the painting of trees, I search the forest and explore the texture of the bark and essence of what surrounds and explains the trees life. 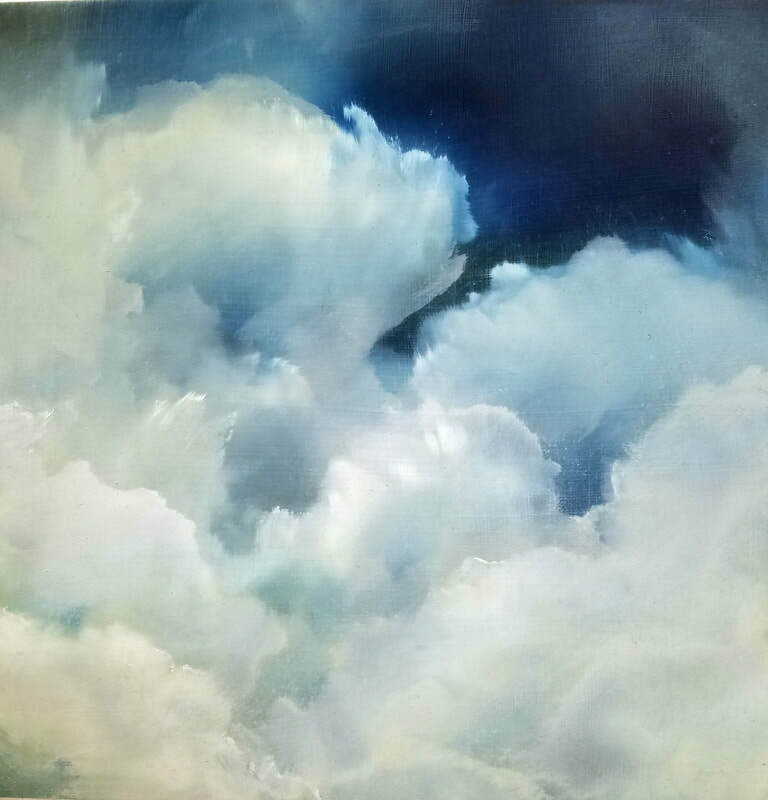 For my cloud series, I make every effort to create the environment and atmosphere of weather, often in contemporary language, which allows the viewer to draw their own conclusion as to the weather occurrence. 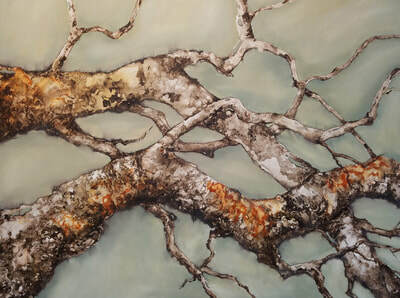 Artist Biography: Born in Asheville, N.C., Nancy and her family lived on the west coast of Florida since l986. She studied at Ringling College of Art and Design and participated in artist’s residencies’ s including Vermont Studio Center and has studied with many noted artists. She and her husband moved to Gainesville Florida in 2014 to be near their daughter Christine Denny and her family. Christine and John Denny are owners of First Magnitude Brewery. She paints full time in her barn/studio on a little farm off Millhopper Road but can often be found painting in the forest and springs of central Florida, in the low county in South Carolina or up in the mountains of her native North Carolina. Her works can be found in private collections throughout the US.